Can anyone please tell me how this person did the calculation? How did he get the RER ? What is the real exchange rate? The RER between two currencies is the product of the nominal exchange rate (the dollar cost of a euro, for example) and the ratio of prices between the two countries. 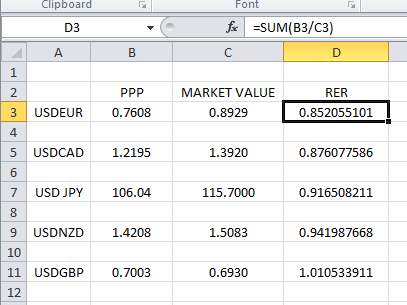 The core equation is RER=eP*/P, where, in our example, e is the nominal dollar-euro exchange rate, P* is the average price of a good in the euro area, and P is the average price of the good in the United States. In the Big Mac example, e = 1.36. If the German price is 2.5 euros and the U.S. price is $3.40, then (1.36) x (2.5) ÷ 3.40 yields an RER of 1. But if the German price were 3 euros and the U.S. price $3.40, then the RER would be 1.36 x 3 ÷ 3.40 = 1.2. Hope it helps look at REER as well. Oh nice, Thank you. I know where the ppp is coming from, but what is the “market value” is it the rate of “big mac” or the “exchange rate”. It was mentioned that the data is real from Feb 8, 2016. So if this is the exchange rate of that month, is it the candle close value or open what? This economics side is totally new for me. 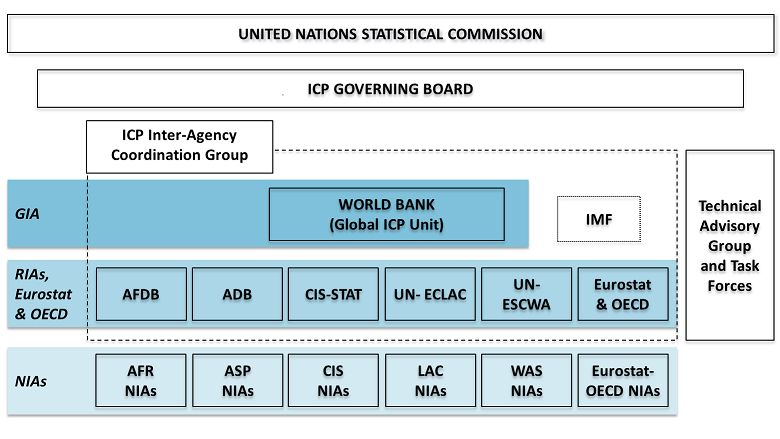 I read the whole article but how does it take into account the PPP? in real life it would be a Basket of things not just 1 thing. it would be used for finding companies market value stocks shares bonds etc. Market Value is the price an asset would fetch in the marketplace. Ok but maybe i am missing something… where are these values in 2nd column comjng from? Where can i find that. Ask Martin as he posted the table. The PPP is the difference in whatever was used in the analyis Beer, Burgers and surf wax i guess.?. sorry yeah its 1am im tired. all good, i get those 1am blonde moments from time to time, it’s understandable .